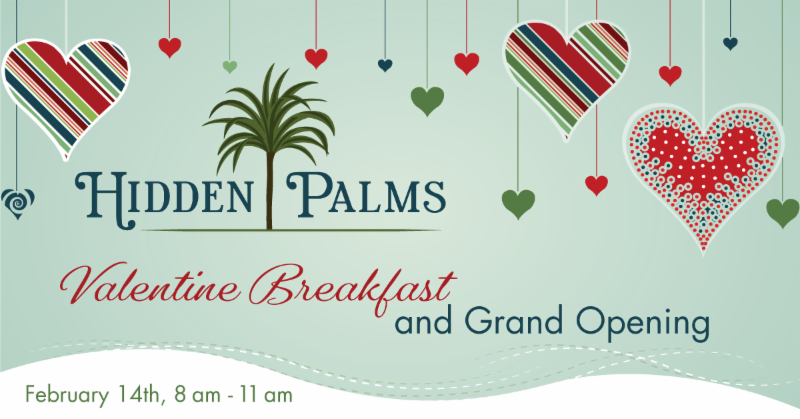 Join us to celebrate the grand opening of Hidden Palms! Tour our model home and preview the neighborhood while enjoying a catered breakfast by Sunset Bay Cafe. Enter a drawing for a 2-night comp stay at the beach in a ResortQuest 2-bedroom condo and for gift certificates to popular local restaurants and shops - what a treat! From Hwy 98 turn south on holiday road. Take the first right onto Hatchew Road. Hidden Palms will be on the left.